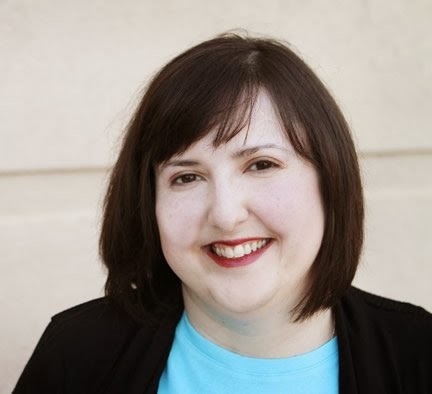 It's always a pleasure to welcome Manda Collins to the Romance Dish because that usually means she has a new book out and we do love Manda's books! This time around the book is WHY EARLS FALL IN LOVE and it's a wonderful addition to her Wicked Widows trilogy. Manda recently answered some questions for me about her books and herself. Please give here a warm welcome! Welcome back, Manda! Congratulations on the release of WHY EARLS FALL IN LOVE, the second book in your Wicked Widows trilogy. Please tell our readers what they can expect from this trilogy and the new book. Hi PJ! Thank you so much for having me! I'm thrilled to talk about this second book in the Wicked Widows trilogy. WHY EARLS FALL IN LOVE follows Georgina Mowbray and dashing Lord Coniston as they try to find the truth behind a series of incidents meant to make Georgie doubt her sanity. In the process they'll fall in love, but they'll also come face to face with a killer. I loved Georgie and Con but, at first glance, they appear to be an unlikely match. What was it about these two that convinced you that they belong together? When I first envisioned Georgie, I knew that someone with her sense of duty and practicality would need to be paired with a hero with a great sense of humor and a strong protective streak. And Con fit the bill perfectly. You’re very good at creating a thread of suspense in your books that enhances the story without detracting from the romance. Who are your mystery/suspense inspirations? Thank you so much! I've been a mystery reader for even longer than I've been a romance reader, so I love mixing the two of them together. These days I've been reading a lot of Charles Todd's Bess Crawford series set in WWI. And I also enjoy the modern American mysteries of Karin Slaughter and Lisa Gardner. Of course romantic suspense is really what I love so that means I devour every new Karen Rose and Laura Griffin. And my friends Lena Diaz and Rachel Grant are writing some fabulous romantic suspense these days. Really, it would be safer to ask who I don't read! We’ve talked a bit about your characters. Now let’s turn the tables. What would Con and Georgie want readers to know about you? LOL! I'm sure they would! What’s your current favorite book by an author other than you? I recently read Rachel Grant's fabulous BODY OF EVIDENCE and it blew me away! I'm still thinking about that book months after I finished it. If you could step into the life of any fictional character, who would you choose and why? I'd love to spend a little while in Nancy Drew's shoes, driving her convertible and solving mysteries with her friends. Will you be attending any conferences or book signings where readers will have an opportunity to meet you this year? Right now it looks like I'll be attending the Romance Writers of America convention in San Antonio. After that, not sure what else. There are a few possibilities in the fall but I'm not comfortable committing to them just yet. Awesome news! Hmmm...I do love a mystery. I guess I'm going to have to re-read your books to see if I can figure out who this couple is. Thanks so much for visiting with us, Manda. Would you like to ask our readers a question today? Thank You! Readers, I'd love to know what some of your favorite romances mixed with mystery are? It doesn't have to be romantic suspense or strictly romance, but could be a mystery with romantic elements or a romance with mysterious elements. Inquiring minds want to know! 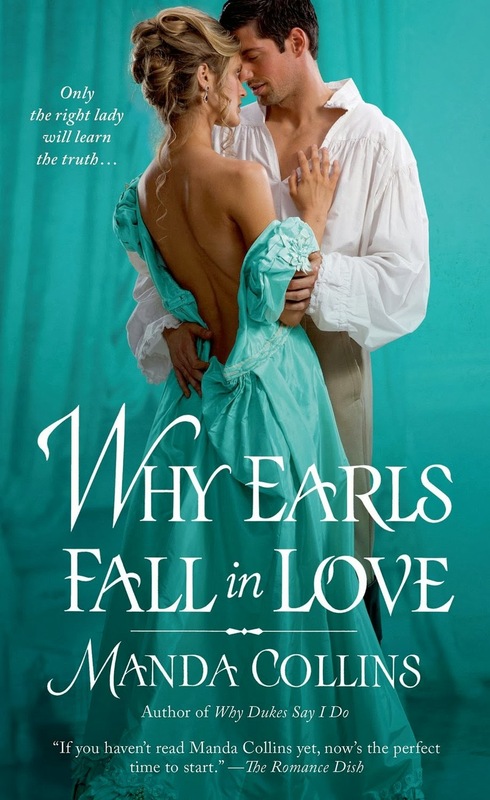 Manda is giving away two copies of WHY EARLS FALL IN LOVE today: one to a U.S. resident and one to a person outside the U.S. To be eligible, you must include U.S. or International in your comment. Find more information about Manda and her books at her website and connect with her online at Facebook and Twitter. The first one that came to my mind is JANE EYRE by Charlotte Brontë. Time for a re-read I think. WHY EARLS FALL IN LOVE has such a stunning cover. Don't you just love that color, Mary? It's one of the most beautiful covers I've seen in a long time. Love Jane Eyre, Mary! It definitely has the requisite eerie feeling! Thanks about the Earls cover:) I've been very fortunate with my covers thus far--knock on wood! Greetings from an International fan! Congrats on the contract for a new trilogy .... would this 'gentleman's driving club' involve sports cars like the Morgan? Manda, I never dreamt that those small acorns sown as drabbles on the EJ-JQ BB would take root and grow into the present giant oaks. There was a whole lot of talent on that BB, wasn't there? So happy for all of our 'drabblers' who are now published authors! Thanks so much, Q! I really do attribute a lot of my success to my time on the BB. It certainly got me on the path to publication! My books are available from Audible. I wonder if you can't get them because of geographical restrictions? I do know you can get them directly from the Tantor Audio website. And this month they're 50% off because of Valentine's Day! I haven't tried the Flavia de Luce series yet. Need to put it on my list. All the best with the new book!! Thank you so much, Bridget! And oh how I loved Mary Higgins Clark back in the day! I used to devour her books. In part because of the romance in them. Haven't read The Husband's Secret yet, but it's definitely on my radar. Looking forward to reading it. This trilogy looks amazing, Manda, well worth all the coffee you consumed to perfect it!! Hellie, if you like the mystery thread in Garwood's historicals then you should like Manda's. Heather Graham has several suspense filled romances. One of my favorites is Angel Of Mercy set in the Florida Everglades. Heather Graham is definitely the sort of thing I was thinking of. Haven't read that one, though. Need to add it to the TBR. I like Heather Graham but haven't read her in a while. Still looking for a way to add more hours to the day! I'm really enjoying Laura Griffin's romantic suspense books. I recently read River Road, by Jayne Ann Krentz, which was very good. Grace Burrowes writes fabulous historical romances; she has a touch of mystery in several of them. For more traditional mysteries/thrillers, I love Lisa Gardner, Karin Slaughter and Tami Hoag. Thanks for visiting. Congrats on the new release. Forgot to add with my comment--US. We like so many of the same author's, LSUReader! I'm a huge Laura Griffin fan especially. Haven't tried Grace Burrowes yet, but sounds like I need to! I'm a big Laura Griffin fan. Jayne Ann Krentz too! "If You Give a Rake a Ruby" by Shana Galen and "Rosemary Cottage" by Colleen Coble are just a couple that I truly enjoyed and there are many others. I love the idea of the plot of "Why Earls Fall in Love," Manda and cannot wait to read it. I am a U.S. resident! I need to check out the Galen and the Coble, Connie. I love Coble's covers so much! Glad you like the premise of WEFIL! If you give it a try, I hope you like it! Thanks for the recs, Connie. I like Shana Galen but I haven't read Colleen Coble. Need to check her out. Manda, I think you got the balance between romance and mystery just right in Why Earls Fall in Love. I loved it, and I am eagerly awaiting Perdita's HEA and the resolution to the overarching mystery in Why Lords Lose Their Hearts. I'm a big mystery fan, although I generally prefer them on the cozy side. My two favorite mystery series are Margaret Maron's Deborah Knott series and Julia Spencer-Fleming's Clare Fergusson/Russ Van Alstyne books. Both have a strong romantic element that continues even as the lovers marry. The latter has reached eight books now and is as compelling as ever, and Maron keeps me intrigued even after eighteen books in the series. Manda, I think you got the balance between romance and mystery just right in Why Earls Fall in Love. No surprise that I totally agree, Janga! Aww, thanks Catslady! I was a huge fan of gothics in my teens--in no small part because they were the only romances in the library at my school. I think they probably started many teenage girls on the road to romance reading! Congratulations on the new book. As others have noted, the color on your cover is terrific. As far as suspense books or mysteries, I enjoy reading Nora Roberts' books and Deanna Raybourn's Lady Julia series. Thanks to Janga, I'm a big Nora Roberts fan too. I thought The Witness was one of the best romantic suspense novels I read that year. And I think Janga is to thank for my love of Deanna Raybourn, too, come to think of it! Clearly she has excellent taste! Hi, Manda! I love your books, Shana Galen's, and Nora Roberts, just to name a few. Thank you, Cathy! I'm so pleased you like my books! And great choice of authors, too. I'm excited to be mentioned in the same post with them! I love historicals any way they come. I do enjoy a little mystery throwed in. Shana Galen't books are always good. I've enjoyed the Lady Julia Grey novels by Deanna Raybourn. They have mystery with a little bit of romance in them. It's been awhile since I read a romance with mystery, so I'm taking notes of everyone else's recommendations! It will have to be the In Death series. I love Eve and Roarke! I like Christie Craig's Texas series for romance with some suspense. Jennifer Crusie has some good ones, too. Your book, How to Dance with a Duke is one that has stuck with me, too! Congrats Manda on your newest release!!! I love your books and I can't wait to get my hands on this newest :) Love, love that cover!! Ummm... my gateway into romantic suspense was Elizabeth Lowell... her books were/are so romantic but angsty! Congratulations on the release of WHY EARLS FALL IN LOVE. One of my early favorites, after I outgrew Nancy Drew, was REBECCA by Daphne du Maurier. I enjoyed Victoria Holt over the years. Lately, among others, I have liked Deanna Raybourn's Lady Julia Grey series and Julia Spencer-Fleming's series featuring Clare Fergusson and Russ Fan Alstyne. I've read quite a number of wonderful romances with mystery in them, some that I loved are Shana Galen's Lord & Lady Spy series, Emma Jane Holloway's A Study in Silks and A Study in Darkness and Maire Clairmont's The Dark Lady. Shana Galen's 'Jewels of the Ton' series and her 'Spy' series both have elements of suspense in them. I love your cover, Manda!